The South African Police Service in Limpopo made a major breakthrough when abalone worth millions were recovered during a regular stop and search operation at the Groblersburg Port of Entry. 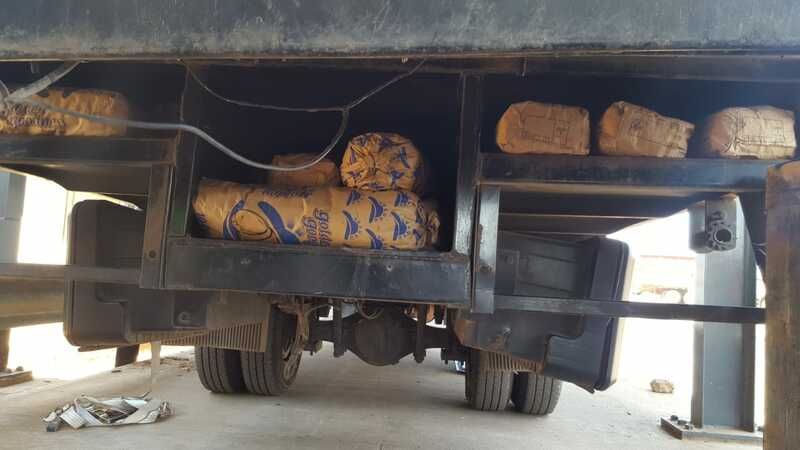 The recovery, which is considered a step closer in breaking the back of the abalone trade, occurred when a truck travelling to Zimbabwe via Botswana was last night 2018-10-03, stopped by the police at the search point of the border post. During the search, the driver and his crew fled. The origin and destination of these protected species are still being determined through the ongoing Police investigations. Anyone with information that can lead to the arrest of these suspects, may contact Captain Richard Boshomane at 079 894 5501 or the Crime Stop number on 08600 10111, or SMS Crime Line at 32211 or the nearest Police Station. The Provincial Commissioner of the South African Police Service in Limpopo, Lieutenant General Nneke Jim Ledwaba has commended all members at the border post, who were involved in this milestone achievement for the sterling work done. The Police investigations and manhunt are still continuing.